JNTUH MBA Results 2018: JNTUH MBA 1st, 2nd, 3rd & 4th Sem (R17, R15, R13, R09) Regular/ Supply Exam Results June 2018 and JNTUH MCA 1st, 2nd, 3rd, 4th, 5th, 6th Sem Regular/ Supply Results 2018 Has been released on 1st September. 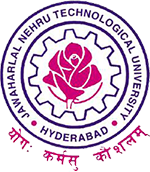 Students can check jntuh mba I sem Results, jntuh mba II sem Results, jntuh mba III sem Results, jntuh mba IV sem results and jntuh mca results from below links. JNTU Hyderabad had conducted MCA & MBA I, II, III & IV Semester R17, R15, R13, R09 Regulations Regular-Supplementary Examinations in the month of June 2018. Today JNTUH announced MBA 1st, 2nd, 3rd & 4th Semester Regular/Supplementary examinations Results 2018 and MCA 1st, 2nd, 3rd, 4th, 5th, 6th Sem results. Now, You can check their results below. How much time will take for revolution results ?? What would be the expected date of supply for mba r13?